Ever wish you could print your own money? Coupons come pretty darn close. I’ll admit to fluctuating back and forth between being a die-hard coupon toting convert and leaving them by the wayside, but the savings can’t be argued with. If you’re thinking 50 cents here and maybe a buck there, think again. For the casual coupon clipper this may be the case, but for others who know how to strategically play the coupon game, using these tiny slips of paper can add up to a huge windfall of savings. 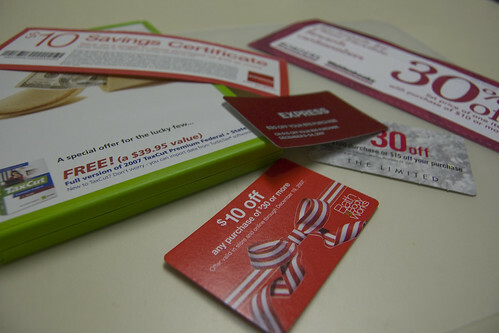 So what exactly is the best way to maximize coupon savings? What exactly is the secret behind these people who supposedly walk away with hundreds of dollars worth of items for mere pennies on the dollar? Simply put, they calculate and strategically decide upon the optimum time and place to “play” their coupons. Armed and ready to strike when the savings iron is hot, these super savers go way beyond just cutting coupons out of the Sunday paper. They work hard to make every coupon count. Frankly, it comes down to ensuring you get the best possible value for every hard earned cent. You may be tempted to stop reading right here. I mean, come on, who wants to make using coupons a full-time job. Time is money, right? I know as a busy, working mom of two boys, I don’t have all the time in the world to devote to couponing. But with the promise of prices that only continue to rise and budget already so tight it nearly squeaks, I had to give this couponing thing another shot. Fortunately, I’ve come across a happy medium ground when it comes to these little slips of paper where I can save a substantial amount of money and honor my time, too. Forget buying multiple copies of the Sunday paper. If you can get the inserts for free from neighbors, friends or family that don’t use them, by all means, do. But avoid paying for extra copies of the paper. It’s counterproductive. You’re supposed to be saving money, not spending it. Instead, opt to take advantage of a coupon clipping service. (More on these in my next article.) Yes, you’ll pay a few cents for each coupon, but you can acquire multiples of the coupons that you’ll really use. Keep your coupon system simple so you’ll continue to use it. This has been my downfall in the past. I’d spend lavish amounts of time on organizing my coupons into plastic pouches and then I’d spend even more time in the grocery store sifting through the different sections of my coupon organizer. Forget it. With two kids in tote, I can barely keep track of them let alone a pile of coupons, too. Now I keep a small basket at home with small envelopes inside where I organize and store my coupons. When I’m ready to shop, I take my basket over to my computer where I quickly scan the sales fliers of all my neighborhood stores online and compare the sale prices to the coupons I currently have. (Bookmarking store sites makes this an easy and quick task.) This is the single most effective way to hike up your savings: use a coupon on an item that’s already featured on sale. If you’re really luck, you can even sometimes score what I affectionately refer to as a “triple play.” This happens when you purchase an item on sale or special with a manufacturer coupon and a store coupon. Many coupons clearly state at the top “Do Not Double,” but that doesn’t affect your ability to increase the savings by using an additional, different coupon on the same item. At coupon websites such as Groupon you can also easily find daily deals in your city. Lastly, commit to changing the way you shop. To really reap the benefits of couponing you’ll need to begin shopping in cycles and according to when your local grocery stores run their specials, not necessarily when you’re out or it’s convenient for you. In order to do this, establish areas in your home where you can strategically stash the stockpile you’ve acquired when you run into great savings. “Shop” from this stash until the next special or coupon savings comes around. The goal being to build a reserve of what you use on a ongoing basis at home whenever you can get it at the best price, and then “shop” from that. By doing this, you alleviate the need to pay full price and lessen your dependence on running to the store all the time as well. I use blogs to match coupons with sales so I do not have to spend the time doing so. Type in your store and coupon matchup and also i heart cvs and you can save money with coupons and only spend 30 min-1hour a week.